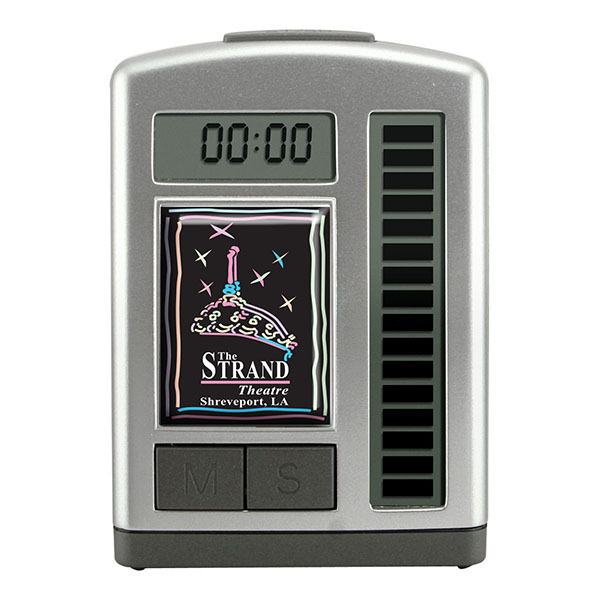 For a promotional giveaway your brand can surely count on, look no further than this electronic desktop timer with moving LCD display! This handy product measures 2 1/8" x 3 1/8" x 1" and features a unique design that will look great in your work space. It is programmed to count from up to 99 minutes and 59 seconds. Batteries included. 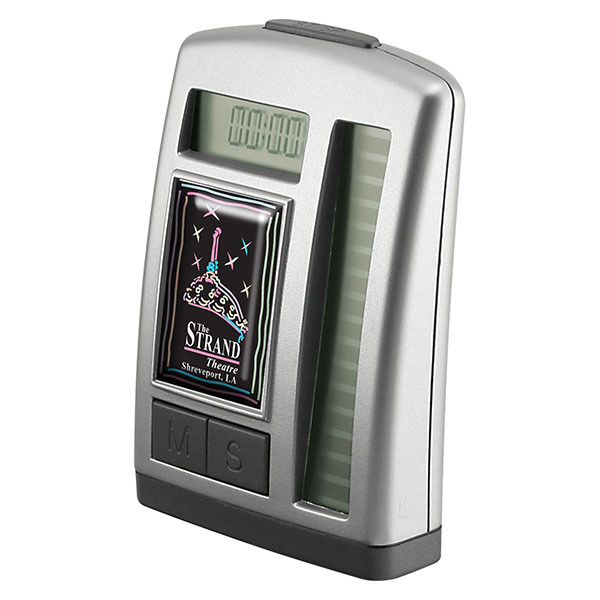 Customize with SpectraDome™ decoration of your company logo and message to create a timely giveaway for the next event. Blank $4.60 $4.35 $4.15 $3.94 N.A. Item Size 2 1/8" x 3 1/8" x 1"
Case Dimensions 15" x 17" x 15"
SpectraDome™ 1 1/4" x 1" 4 color process, 1 location N.A.